https://3ccontactservices.com/how-important-is-customer-retention/ How Important is Customer Retention? Steven 3CContact Services 2015-11-17T07:00:44Z 2016-08-24 07:15:31 Blog Array How Important is Customer Retention? 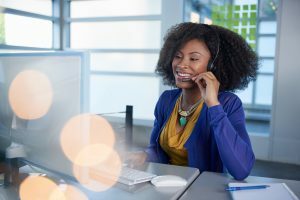 When it comes to improving your business through customer service, one of the best options is a customer retention call center. Many companies take their existing customers for granted, and while many new business owners and companies focus on attracting additional customers, retaining existing customers is often just as important. If your customer base is constantly leaving or switching to competitors, it is incredibly difficult and costly to grow your business. Here are a few reasons why customer retention is important for your business. The vast majority of customers who stop using your business will not make it known to you. In fact, it’s likely that only a small percentage of dissatisfied customers will actually register a complaint or voice their displeasure directly to your company. However, the figures show the opposite is true when it comes to speaking with their peers: The majority of customers speak with their colleagues about their poor experience and give your company bad exposure among friends or online. This means that if you are failing to retain your customers, you are likely also losing out on attracting potential customers. Attracting new customers to your company typically has a very high cost whether it’s through advertisement or sales. Keeping your existing customers is comparatively less costly. By providing good customer service and ensuring customer satisfaction, you can make sales without the high expenditures associated with marketing. As well, there are techniques by which you can grow your business through your existing customer base. 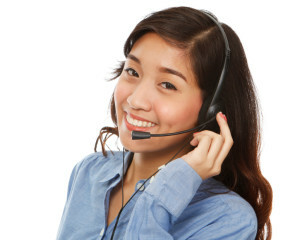 For instance, a retention call center in Toronto may use upselling to make more sales off of your existing customers. Your existing customers have already spent money at your business. That means they are much more likely to continue making purchases and spending money with your company than someone who has never used your business before. If you want to target the demographic that is most likely to do business with your company, then your best bet is going after the people who already do business with your company. Given all of the benefits of customer retention, it follows that it’s one of the most effective ways to increase profits. In fact, increasing customer retention by a small percentage typically translates into a much larger increase in profits. By increasingrevenue while also decreasing expenditure, profits can grow considerably. Customer retention is also much easier than attracting new customers. A customer retention call center in Toronto, with expertise in customer service, can easily boost your customer retention rate. By providing good customer service that is tailored towards the customers and demographics most likely to spend money at your business, you can keep more of your existing customers. Resolving complaints, “win-back” campaigns, cross-selling and upselling, and welcome calls are all examples of customer service techniques that can dramatically increase customer retention.